As a general rule, NORML tends not to publicize or comment on ballot initiative drives — including campaigns we are involved in — until they have officially qualified for the ballot. But in this case, we (and the mainstream media) just couldn’t resist. An initiative to make marijuana legal, and open to local taxation and regulation, is one step closer to getting on the California ballot this November. Backers of the initiative on Thursday turned in nearly 700,000 signatures to state officials to place the measure on the state ballot, according to reports — far more than the 433,971 valid signatures required. California Secretary of State Debra Bowen has until June 24 to certify the initiative, the Sacramento Bee reports. The measure, if approved by voters, would allow anyone over 21 years old to possess up to an ounce of marijuana or grow plants within a limited space for personal use. It would also allow local jurisdictions to tax and regulate it. … An April Field Poll found that 56 percent of California voters supported legalizing marijuana, and Mark DiCamillo, the poll’s director, said the initiative had a 50 percent chance of passing, the Los Angeles Times reports. 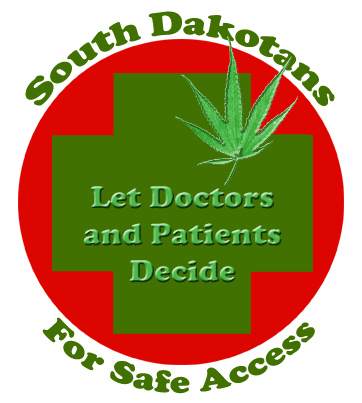 Next week, proponents of a statewide measure to legalize medical marijuana in South Dakota will also turn in signatures to the Secretary of State’s office to place the proposal on the November 2010 ballot. Petitioners claim that they possess nearly twice the number of signatures necessary to qualify for the ballot. Separate ballot drives are under way in several other states, including Washington and Oregon. Here is an update from South Dakota where the judge who placed a one year gag order on South Dakota NORML’s Bob Newland not to publicly advocate for cannabis law reform whilst on probation for a minor cannabis offense has had to defend his sentencing and constitutionally-questionable limitations on Mr. Newland’s First Amendment rights to free speech; the right to peaceably assemble; petition the government for a redress of grievances. To place this into sharper political context, in their first attempt two years ago, South Dakotan voters narrowly defeated a pro-medical cannabis initiative, 51%-49%. Therefore, placing First Amendment restrictions on the state’s most vocal and notable cannabis law reform advocate for a minor cannabis offense sets a wretched legal precedent for personal freedom and political organizing in South Dakota. The voters of South Dakota need to run another pro-cannabis law reform initiative and pass it ASAP, making politicos like Adelstein and Judge Delaney eat crow—like hundreds of other politicos since the early 1990s who’ve opposed cannabis law reform, only to see voter-driven initiatives wash over them, and their opposition to these important–and popular–public law reforms. I write today to tell a tale of an execrable and gratuitous lie told by SD State Senator Stanford Adelstein. The well-known public advocate for the legalization of marijuana for medical purposes had previously pleaded guilty to felony possession of the drug. And Delaney wanted to make the sentence sting without imposing an unduly harsh prison term on a 60-year-old man with a relatively clean criminal record. So in essence, he told him to shut up for a year about one thing: medical marijuana, and an ongoing campaign to bring the issue to another public vote in 2010. Delaney sentenced Newland to one year in Pennington County Jail but suspended all but 45 days under a set of stipulations that included weekly drug tests, random searches and a one-year ban on public advocacy for medical marijuana. Delaney rejects assertions by some that he was imposing his personal beliefs on medical marijuana through the sentence. 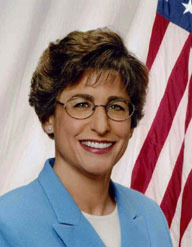 The advocacy ban was an infringement on Newland’s First Amendment rights. Delaney doesn’t deny that. But neither does he consider it more onerous or any less appropriate than many other infringements imposed as part of felony sentences. The random searches Newland faces in the next year would be violations of his constitutional rights, but for the felony plea. Felons can face otherwise unconstitutional firearms restrictions and the right to associate with certain people or go to certain establishments, Delaney said. “We restrict speech as well in a lot of protection orders, or in divorces, where in some cases the parties’ freedom to speak to one another may be limited,” he said. And given the fact that the maximum penalty for Class 6 felony marijuana possession was two years in prison and a $4,000 fine, Newland’s sentence could be considered light by others who face similar charges, Delaney said. He was particularly concerned about younger minority defendants who might get a longer jail term for the same crime. Delaney settled on what he calls the “partial infringement of speech,” as well as limits on his freedom of association in support of medical marijuana. Newland may still meet in private with medical marijuana advocates to plan the medical-marijuana campaign. But he cannot appear publicly in or speak on or for the campaign. Typical sentences for the same felony possession charge range from 45 days to 120 days in jail, Delaney said. But many of those who receive such sentences have more criminal marks on their record, he said. Others, however, were more understanding when Delaney explained his rationale. Judge Delaney was absolutely correct. To characterize Newland as an advocate for the legalization of marijuana for MEDICAL purposes is untrue. He is only interested in making marijuana available for his friends and others for recreational purposes, and perhaps financial gain. I met with him at the Capitol in Room 411, (or maybe 412) during the session to offer, to assist for MRDICAL purposes in a Bill, as Chair of Health and Human Services. I said that I would only do so if there were 3 (three) simple changes in the legislation he was proposing. 2.The prescription could only be given if either there was no FDA drug that would accomplish the same as the marijuana or that drug cost three more times the cost of the pot. I walked out of the room, knowing that they had no true interest in the help for people with pain and/or suffering. I of course opposed their bill vigorously and it did not even get to the House floor. Newland is and should be treated as a common felon. The Judge was correct from stopping his phone posturing, I only wish that it was for more than a single year. The details of the meeting as described by Adelstein are a lie. You can read the true story at the decorum Forum Blog, and you can comment there or at the Journal “Comments” site above.